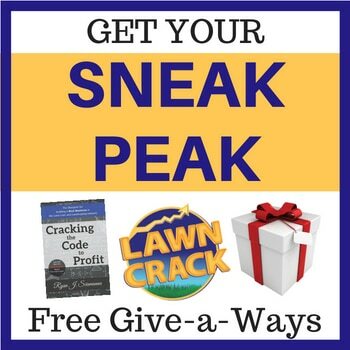 Lawn Crack’s resource for lawn care businesses owners to better understand the money coming in and going out of their business. What is the difference between the ‘Plug-and-Play’ and the ‘Profitability Calculator’? The ‘Plug-and-Play’ has more service options and uses an hourly rate for compensation of employees. The ‘Profitability Calculator’ only includes mowing and spraying as the service options and uses percentage pay for compensating employees. BOTH ARE 100% COMPLETELY CUSTOMIZABLE!